There are eight Naqshbandi Principles formulated by the Imam of the Khwajagan (early Naqshabndi Silsila) order , Hazret Shaykh Abdul Khaliq Ghujdavani (Q.S) and three other principles formulated by the Imam of the Tariqah Khwajah Muhammad Baha’uddin Naqshbandi Al-Uwaisi Al-Bukhari (Q.S). A person’s birth, life, death and resurrection bound by time. He must be aware of time. Time are two kind, the Created time and the Eternal (Infinite Time). Time is the Manifestation the “Kursiyy” of Allah. The Manifestation of His Attributes in the Created world is Manifested through Time. One must utilize his time to remember Allah and in useful things that is commanded in Sunnah (traditions of Prophet Muhammad alaihiswalathu wa salam). On the authority of Abdullah ibn Umar (may Allah be pleased with him), who said:The Messenger of Allah (peace and blessings of Allah be upon him) took me by the shoulder and said, “Be in this world as though you were a stranger or a wayfarer.” And Ibn Umar (may Allah be pleased with him) used to say, “In the evening do not expect [to live until] the morning, and in the morning do not expect [to live until] the evening. Take [advantage of] your health before times of sickness, and [take advantage of] your life before your death.” [Al-Bukhari] 40 Hadith Nawawi. One of the things I always regret and ask Allah’s forgiveness is that the time I have lost before I realize how important time is. 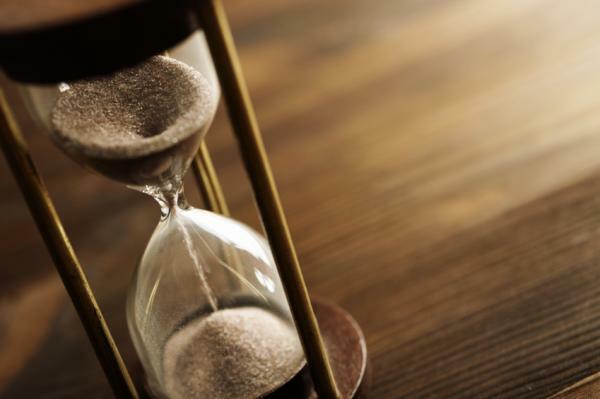 We are living in the End of Times, one of the phenomena of this time is that time itself pass very quickly, because of the Hour is approaching. So utilize your free times, and good times for the worship of Allah and constructing worthy deeds in your life. A person who is concerned about his time will never spend it on things that is not concerned about him. For example , you are 20 years old ,If you have a fixed amount of money with you given by your father, for example 900,000 Pounds for your rest of the life, and there is no way you will find away for another income, then will you spend that money carelessly? , How will you spend it?, Ok, let’s say you spend half of it by the time you reach 30s , you got only 350,000 left. This time you start realizing the importance of spending correct way what you have left with you. On the authority of Abu Hurayrah (may Allah be pleased with him) who said: The Messenger of Allah (peace and blessings of Allah be upon him) said, “Part of the perfection of one’s Islam is his leaving that which does not concern him.” A hasan (good) hadeeth which was related by at-Tirmidhi and others in this fashion.Tirmidhi and Ibn Majah related. What concern to you is your salvation, and how you spend your time to work for Aakhirath (hereafter life). So be careful how you spend your time. It is said that in London High street “An Hour” of a solicitor to deal with your civil or criminal counselling and undertaking cost 500-1000 pounds. So how much it worth your time spending here to fix your case in the Judgement day? If you are really believing in the Judgement Day, then you would prepare with all your time for fixing your case in the Court of Allah!. So In our Way (the Naqshbandi Tariqah) we are watching our time, every seconds. Even if we are busy with the affairs of the world, our heart remain busy with Allah, remembering and glorifying him. This is the Naqshbandi Heart, we do not know about others. The Life of a true Naqshbandi is connected to Allah through Time. When Allah says “Allah is Encompassing the disbelievers from all side (2:19… Wallahu Muheethwumm-Bil Kaafireen) , Allah Subhana Wa Ta’ala declares that they are with in His Hands and spared them in their transgression for some time. So do not wait to repent and become a good person when you become old!, This attitude has become a custom among South Asians, enjoy and commit all sins in youth and do not pray, but start prayer , grow beard , fast and going to Mosques when you are in 40s and above! Do you think that you are not accountable for the past life that you lived without fulfilling your obligations? You are responsible for the time you wasted, and the only solution for this problem is you contribute your time to fulfill the obligations you missed in your past days. So since you attained puberty , you are obligated to fulfill your contracts with your Lord. This is the highest Adab in the Tariqah, but you may do as you wish , or seek guidance from your Shaykh. So in the Tariqah, it require a disciple to have “Awareness of Time”. Since time is the Manifestation of Allah, spending that time in things that Allah is happy with His Servants, is most important. Some people curse the time for which they have been wasted, or lost. If you lost something it is you alone who is responsible. So the morals of a Murid must be that he may respect the Time that is Surrounded him and catching his life span and annihilating his days on the Earth! Quran 42:30 Whatever misfortune happens to you, is because on the things your hands have wrought, and for many (of them) He grants forgiveness. Because the Time has a significant part in the life of a believer, Naqshbandi Shaykhs carried the Zikr of Allah though the “Silent Zikr” while outwardly busy with the works of the world’s day to day affairs (farming, trade, sheep herding etc), it was in the Bukhara, and other parts of Central Asia where the Tariqah flourished, the Silk Route which is the famous trade route pass through this lands. 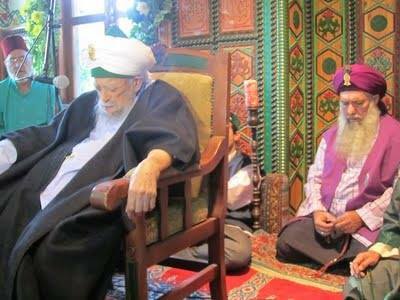 Long Journeys between Istanbul and Central Asia keep the disciples away from Shaykhs for months or even years. So the Shaykhs by their spiritual power imprint Zikr of Allah in the Sincere devotee of the path. This Zikr constantly repeat in the heart of a Murid (seeker), wherever he is, whether he is awake or asleep, whether he is busy or free! Thus this Zikr in the heart that guard his day to day life, and making aware of his time, and how he should spend his time in the Path!. Since all these 11 principles are inter-related, repetition of the explanation occurs. Time cannot be seen by naked eye or touched, It can be expressed through a device (clock) , like we express God through His names and Attributes. So those who deny the Almighty God (atheists) let them show me time, while they also believing in time! Some times are special and more beneficial to do Zikr, like after Fajr, between maghrib and Isha prayers. Some days and nights are special. A seeker must be aware of special times, days and nights in order to gain maximum benefit from it. So again, Awareness of time is a vast topic, this is only brief reminder ,not a complete article.